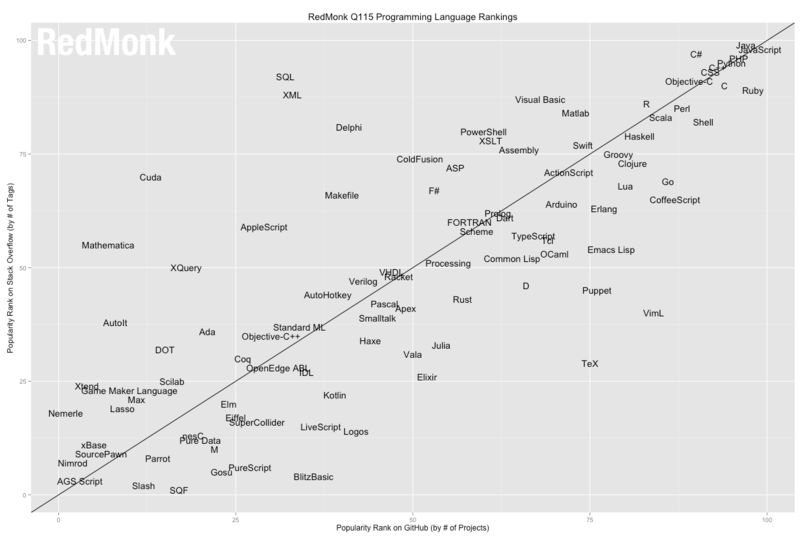 The Swift language is quite popular, concerning its one of the youngest on this chart. PHP still on top. Wonder how many new projects are created in PHP as a well thought choice and how many of them are just in maintenance phase.